Jared Savage has covered the ‘Bill Liu’ saga since revelations of his citizenship emerged shortly before the 2008 election. Here, he reveals how the millionaire businessman cut the biggest deal of his life. William Yan in the dock at Auckland District Court at his sentencing for money laundering. Photo/Brett Phibbs. William Yan agreed to be prosecuted in China and New Zealand in $43 million civil deal. Pleads guilty to money laundering in New Zealand, but denies being involved in fraud. Will spend five months on home detention, in what judge described as “unusual sentencing”. Suppression lifted on High Court judge’s description of Yan’s evidence as “evasive”. Tony Lentino drove to dinner in a Toyota Hilux. He left in a Rolls Royce. The internet entrepreneur was in business with Kim Dotcom and wanted out. Lentino helped kick-start Mega, Dotcom’s online encryption service, but wanted to sell his shares after falling out with the German. 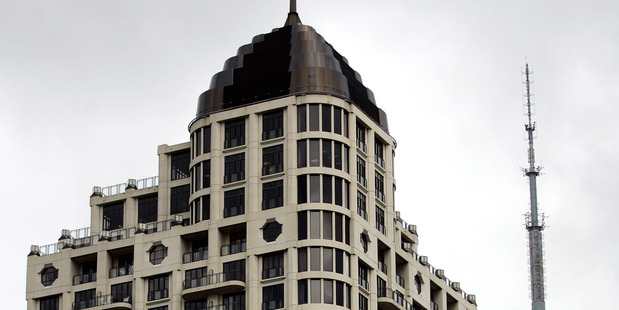 “Bill”, as Lentino knew him, wanted to invest so invited him for dinner at his penthouse apartment on the 35th floor of the Metropolis tower in central Auckland. “He pulls out the Penfolds Grange,” Lentino would later tell police, referring to the celebrated red wine. Dinner conversation eventually turned to business and a deal where Bill – Bill Liu, officially William Yan on his passport – would buy Lentino’s stake in Mega. They went to the basement and Yan offered Lentino to take his pick – a Porsche, a Bentley or the Rolls Royce. Lentino already had a Porsche and his mother liked Rolls Royces. The Rolls Royce was valued at $400,000, as part of the $4.2 million for Lentino’s 6 per cent stake. But when it came time to sign the deal, the shares were to be split into two parcels: one in the name of Zhao Wu Shen, a close friend of Yan, and a trust company. It was the third transaction where Yan had been quietly buying into Mega – nothing was in his name, but he now controlled 18.8 per cent. William Yan’s penthouse apartment in the Metropolis is valued at $3.5 million. Photo / Doug Sherring. Yan was a “tough bugger” to negotiate with, says Lentino, who was uncomfortable with how the deal was structured until his accountant explained it was unusual, but not illegal. “He’s a smart businessman and hides things here and there, or whatever,” Lentino told police, describing Yan as the “invisible CEO” of the company. Lentino, who has since died of cancer, was talking to detectives from the Asset Recovery Unit, based in Hamilton, who believed Yan was disguising his assets for another reason. 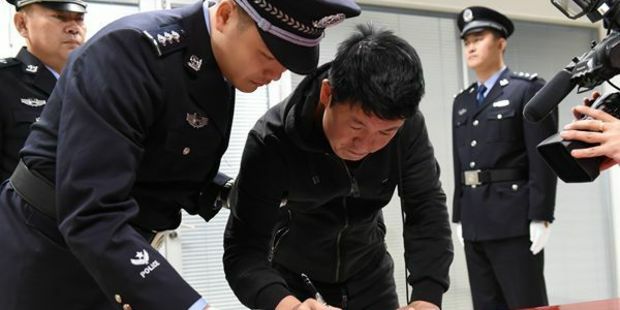 They had raided his Metropolis home in August 2014 and seized around $40m of assets, on the grounds he was an “economic fugitive” wanted for fraud in China. Together with his partner Vienna You, police alleged Yan had slipped millions of dollars of stolen money into New Zealand through “large-scale money laundering transactions”. 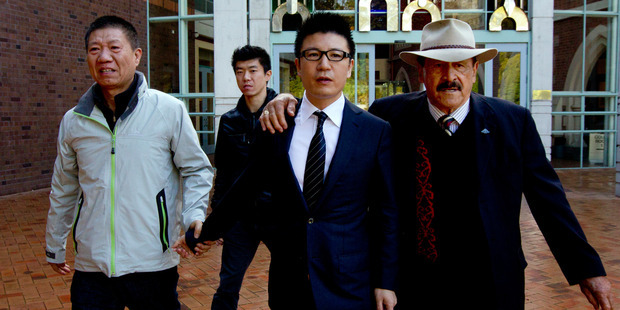 “Police believe that Yan and You have accumulated a substantial asset base in New Zealand and are concealing the true ownership of those assets by registering or purchasing the assets in the names of associates, using the assistance of professionals and other persons mentioned in this affidavit,” said Detective Inspector Bruce Good. The allegations of fraud in China have dogged Yan for years; the 45-year-old always vigorously denied them. Yan says he made his fortune legitimately and the two identities he came to New Zealand with, Yong Ming Yan and Yang Liu, are valid because he was fostered out by his birth parents in China for a short time. Both sets of parents registered him as part of their household with different names and dates of birth, says Yan, and the Chinese Government considers him an enemy because he is associated with Falun Gong and is pro-democracy. These multiple identities put the millionaire businessman at the centre of a political storm just before the 2008 election, when it emerged Labour Party Cabinet Minister Shane Jones had granted him citizenship despite an Interpol warning. Unproven allegations of “economic crime” in China led officials to believe Yan did not pass the good character test, but Jones overruled the advice because of his concerns Yan might be killed if forced to return to his homeland. This led to accusations of political bias as Yan had forged links to a number of MPs, particularly in Labour, who lobbied in support of his citizenship bid. The saga took another turn the following year when Yan was arrested at Auckland International Airport as he was about to board a plane, and charged with citizenship and immigration offences relating to his multiple identities. Yong Ming Yan leaves the Auckland Central Police Station after a bail check. Photo / Greg Bowker. His trademark tracksuits were swapped for business suits at the High Court trial in 2012, where he was acquitted on all counts despite the presiding judge describing the circumstances as “highly suspicious”. But witnesses from China failed to travel to New Zealand for the trial to give evidence about his alleged false identity and fraud. Justice Timothy Brewer acquitted the businessman despite saying the evidence put before him “proves a situation that is highly suspicious”. Most of the documents were false but were filled out by others on Yan’s behalf. “In the absence of firm evidence that the accused knew of the falsity … there would need to be proof of dishonest intention in using the Liu Yang identity,” the judge said. During the High Court trial, a Department of Internal Affairs official said Yan was confident of gaining citizenship because of support from MPs such as Labour’s Dover Samuels, who wrote three letters of support. William Yan outside the High Court during his 2012 with Dover Samuels, former Labour MP. Photo / Brett Phibbs. “He was so anxious that we send the files to the minister. He just wanted the file to go to the minister,” said Johannes Gambo. The Auditor-General criticised Shane Jones in a subsequent report but found no evidence of political corruption. Following his acquittal, Yan kept a low profile. But two years later, he again came to the attention of police when detectives found a note as part of an inquiry focused on a group of VIP high rollers at SkyCity. Handwritten in Chinese, the note authorised the purchase of $1.85m worth of shares in a company registered in the tax haven of the British Virgin Islands and was signed by Yang Liu. That caught the attention of Operation Galaxy detectives from the Asset Recovery Unit. They took a fresh look at the dormant allegations of fraud in China and Yan’s business dealings in New Zealand. In 2014 he had assets seized by police under the Criminal Proceeds Recovery Act, which essentially forces someone to explain their wealth. In such cases, the police must reach the civil threshold of proof – “the balance of probabilities” – not the “beyond reasonable doubt” level needed for a criminal prosecution. The investigation also uncovered Yan’s SkyCity records where he gambled $293m over 12 years, despite being banned twice for two years and losing $23m. One of the passports at the centre of the 2012 trial. Photo / Supplied. The Yan case was the first taken by New Zealand police in which the alleged criminal offending underpinning the civil case happened in a foreign jurisdiction. Complex and convoluted, the case was heading for a five-month High Court trial this year. Then, as revealed by the Herald in August, Yan surprisingly cut a record-breaking deal with the police. He would pay $42.85m, easily the largest forfeiture of its kind in New Zealand, but without any “admission of criminal or civil liability”. All the seized assets, including the $3.5m Metropolis apartment, an expensive alcohol collection, millions in bank accounts, a fleet of luxury cars, and the Mega shares were given back to him. However, the wider details of the settlement have been suppressed until now – including Yan’s secret deal with China. Justice Susan Thomas approved the proposed settlement as a “sensible and pragmatic” outcome instead of an expensive trial. Yan maintained he was independently wealthy in China, innocent of the fraud allegations and there were legitimate commercial reasons why his New Zealand assets were held in various entities. Despite his claim of innocence, fighting the case was having a “significant adverse impact” on Yan in terms of time and money, as well as strangling his ability to earn a living. On the other side, the police, while believing they had a strong case to prove the assets were “tainted property”, conceded there would be challenges given the complex and difficult transactions spanning 16 years. So a settlement to avoid a trial was deemed to be in the interests of justice, according to Justice Thomas – but still needed to be approved by China. “The conditions of settlement appropriately recognise that the primary criminal offending underpinning the [Police] Commissioner’s proceedings was perpetrated not in New Zealand, but in China,” wrote Justice Thomas. After several months of further negotiations, the Chinese government insisted on two notable changes to the original proposal. Most starkly, Yan would have to return to China to face prosecution for the alleged fraud. “My understanding from counsel is that he will be on bail during the trial,” Justice Thomas wrote in her subsequent judgment in August 2016. Finally, the Chinese also wanted Yan prosecuted for money laundering in New Zealand – despite the settlement being a civil case, not criminal. And Yan, the “tough bugger” businessman, agreed to the deal. 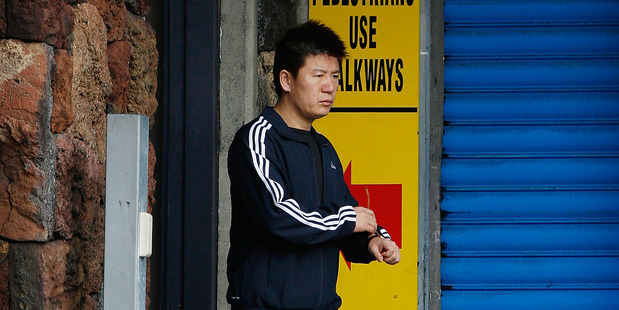 Again wearing a tracksuit, Yan appeared in the Auckland District Court in November last year and was quietly charged with money laundering a “significant” sum between 2012 and 2014. Everything was suppressed. 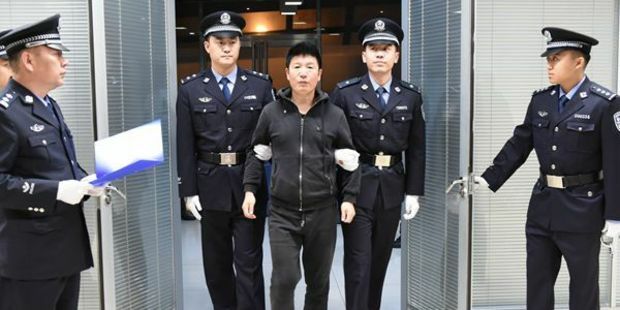 The very next day, China’s “fifth most wanted man” voluntarily surrendered himself to Chinese authorities and flew to Beijing to face trial on fraud charges. China was able to hail his return as a great success of Operation SkyNet; a global crackdown on those alleged to have corruptly stolen money and fled overseas. “Yan’s return, once again, proves there is no safe haven, and the SkyNet will get increasingly tighter,” according to the press release of the Central Commission for Discipline Inspection. Yong Ming Yan voluntarily surrendered to Chinese officials to stand trial on fraud charges. Photo / Supplied. Yan’s return was plastered across Chinese media, but the outcome of the trial was not – nor his safe return to New Zealand two months later. The outcome of the trial is unknown. But this week, the 45-year-old fulfilled his final part of the deal. 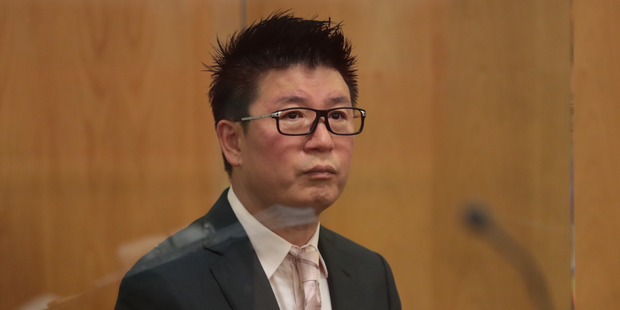 Yan returned to the Auckland District Court and stood in the dock to be sentenced. A police investigation which started in 2007 and collected millions of pages of evidence boiled down to just one page. The summary of facts was described as “singularly uninformative” by Judge Rob Ronayne, at an earlier hearing, although he was not “fishing for details”. The judge had been asked to indicate what sentence he might impose on Yan, if he pleaded guilty to the money laundering charge. William Yan in Auckland shortly after returning from his trial in China. Photo / Jason Oxenham. There was no mention of any specific dollar amount, just that Yan had received “significant sums of money”. “Those funds were the proceeds of serious offending, namely, a series of frauds. Mr Yan believed those funds were the proceeds of that serious offending,” according to the summary released to the Herald. In the end, Judge Ronayne indicated Yan would serve his sentence in the comfort of his home – either five months home or community detention – if he pleaded guilty. He did and this week Judge Ronayne made good on his promise. Paul Wicks, QC, urged the judge to consider a sentence of community detention so Yan could continue his work developing property. Yan was not involved in the “series of frauds” referred to in the summary of facts, said Wicks, and did not personally gain from it. Yan insisted the “significant” amount of money laundered did not exceed $30,000 – although this was not in the agreed summary of facts – said Wicks. The Queen’s Counsel referred Judge Ronayne to the previously suppressed judgment of the $42.85m civil settlement, and asked him to consider the “unusual” background leading to the prosecution. “The conditional settlement was approved and then amended,” Wicks said, referring to the Chinese requirement for Yan to return to China, and be charged in New Zealand. Judge Ronayne then asked Yan to stand. He was sentenced to five months of home detention, to be spent in an apartment at a downtown Auckland hotel. Special conditions mean Yan can leave the apartment for meetings during weekdays, for up to five hours each day, but only with the approval of his probation officer. A request to be allowed to use the hotel gymnasium was flatly declined. On receiving his sentence, Yan bowed and left the dock. Despite the black mark of a conviction for money laundering, the result was a victory, of sorts, for him. He has resolved his issues in China without having to spend a day in prison; once his sentence expires, Yan’s free to travel and get back to work. On leaving the courtroom, he exchanged pleasantries with an official from the Chinese Embassy who had turned up to watch the hearing. The deal was a victory for China. They were able to bring back their “fifth most wanted man” in a show of strength. Despite New Zealand not having an extradition treaty with China, other “economic fugitives” living here now may want to cut similar deals. Also watching the sentence, was a trio of police officers including Detective Senior Sergeant Craig Hamilton, the officer in charge of the mammoth investigation. The deal was also a victory for the police. Despite what some would consider to be a light sentence, they finally secured a conviction against Yan and get to keep $15m of the seized money. “I guess, what this tells us, is his past behaviours are finally catching up with him,” Hamilton told the Herald. Yan shook hands with everyone, then walked from the Auckland District Court for the last time. For the first time since arriving in New Zealand, he no longer has to look over his shoulder. Through nearly a decade of headlines, Yan has always maintained a dignified public silence. His side of the story has been told only in legal submissions filed by one of his Queen’s Counsel – five at last count – except on one occasion. 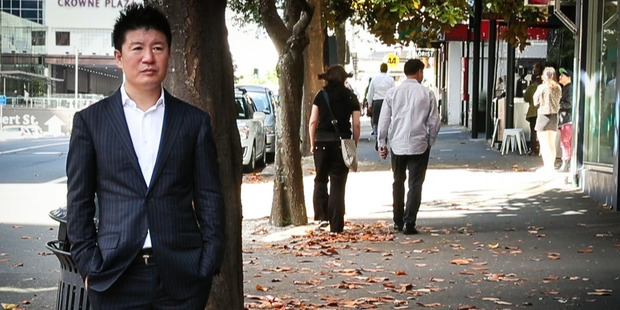 A few months after his penthouse was raided in 2014, Yan took the witness stand in the High Court at Auckland during an application for nearly $250,000 in annual living costs to be paid out of the frozen assets. The gist of his evidence was there were no assets hidden overseas – the police had found everything. Now the case is closed, suppression orders have fallen away from parts of Justice Geoffrey Venning’s refusal to release the funds. Yan was cross-examined by Mark Harborow, on behalf of the police, about a number of transactions including two late model Porsches, a planned $20 million mansion on the North Shore and the Rolls Royce which Tony Lentino drove home. He denied the luxury assets were for him. As for the Rolls Royce, Yan said it was a “gift” rather than payment for the Mega shares. In fact, the Chief High Court judge was sure Yan controlled “significant” assets and bank accounts in foreign jurisdictions. In no uncertain terms, he described Yan’s evidence, variously, as “general”, “unsatisfactory” and “evasive”. 2001: Arrives in New Zealand with his Yang Liu passport. Does not declare his second identity, Yong Ming Yan, under which he is wanted by China for alleged fraud. 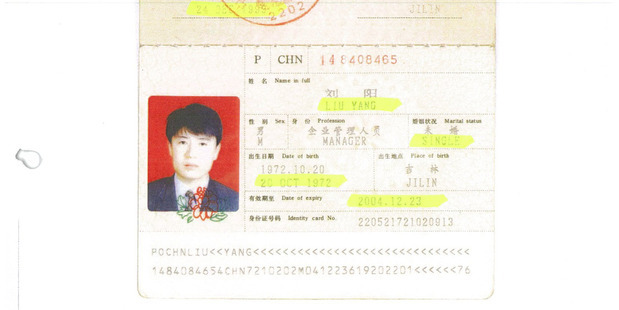 2002: Is granted permanent residency as Yang Liu, without declaring his second passport. 2005: Applies for citizenship. Makes donations to Labour and National. 2007: Immigration New Zealand move to revoke permanent residency is delayed by Immigration Minister David Cunliffe. 2008: Three MPs write in support of citizenship application. Citizenship approved under ministerial prerogative, against advice of officials. VIP ceremony held at Parliament. Changes name to William Yan. 2009: Is arrested at Auckland Airport and charged with making false declarations on his immigration and citizenship papers. 2012: Found not guilty in High Court at Auckland, despite Justice Timothy Brewer saying the evidence “proves a situation that is highly suspicious”. 2013: Auditor-General criticises former Cabinet minister Shane Jones for granting citizenship but said there was no evidence of wrongdoing. 2014: Police raid Yan’s penthouse and seize his assets as part of a civil money-laundering inquiry. 2016: Forfeits $42.85 million to police to settle the civil case. Voluntarily returns to China to face trial on fraud charges. 2017: Returns to New Zealand and pleads guilty to money laundering charge. Sentenced to five months’ home detention.